The Perfect 1000 comes with plans to build forty different machines. Stimulate right brain creativity by encouraging your students to design and build machines of their own! Use the Perfect 1000 to identify different simple machines that are working together to transfer and transform energy while having fun! When using the Perfect 1000, students will learn about engineering and its applications. Design, build, and refine a device that uses energy, observe energy demonstrations and learn about energy conversion, circuits and using machines and energy for problem solving. 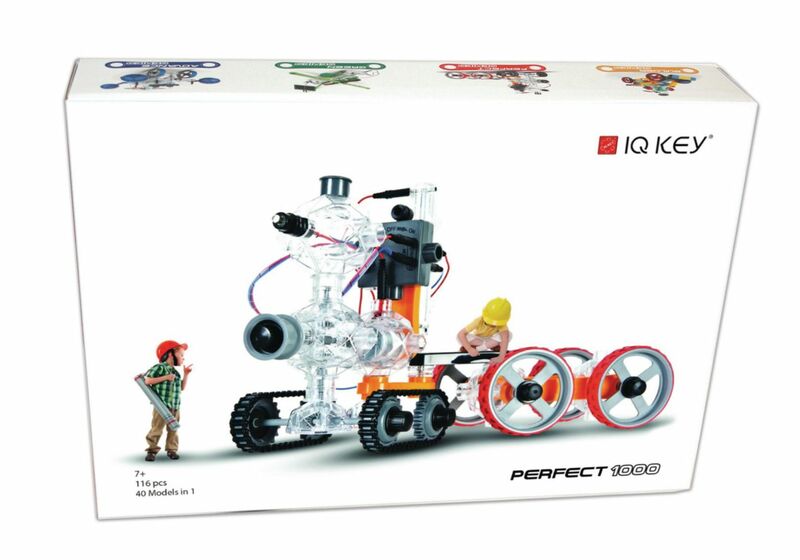 The IQ Key Perfect 1000 can be used to teach with Common Core, National Next Generation Science Standards, it also encourages STEM education. CE certified. 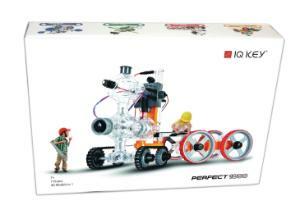 Comes with a Teacher's Guide that encourages critical thinking and problem solving in combining science, technology, engineering and mathematics (STEM). Ordering information: Requires 2 x AA batteries, not included.